Does your computer hate you? Then allow us to be the mediator between the two of you! Do you need a simple Website to announce the birth of your child to the world? We can help! Do you require an attractive splash page to provide information about your fledgling business? Look no further! Do you feel comfortable “getting your hands dirty” and desire to be an integral part of the development process? We have a solution just for you! Would you prefer a “turn key” solution that “just works?” Again, we can help! 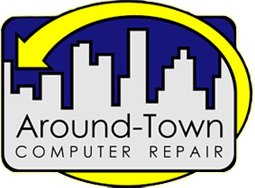 Regardless of your Website services need, look no further than Around-Town Computer Repair!